Large companies live or die based on their data, so you’d think that marketing data would be strictly controlled and carefully recorded and maintained. But this is not always the case. 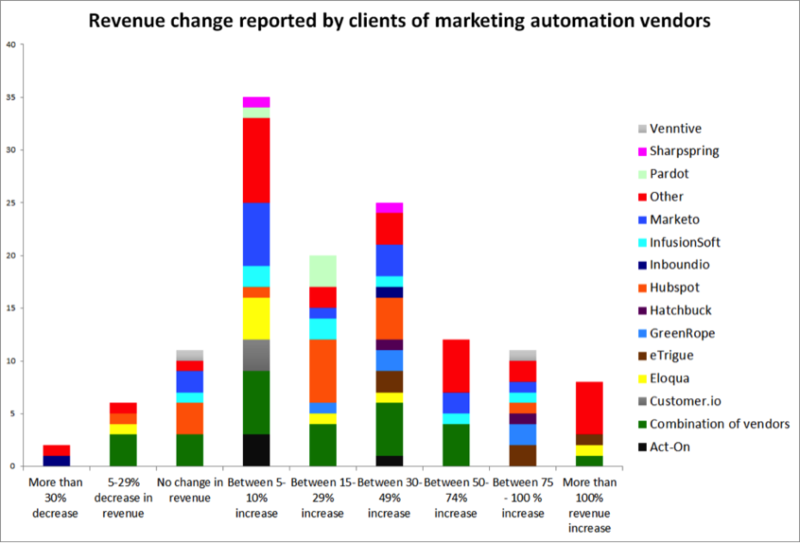 In fact, in non-tech companies, where marketing automation adoption rates were only 3% in 2014, this is almost never the case. Database maintenance is not at the top of anyone’s priority list. Combing through thousands of contacts is a daunting task, but it can and will pay rich dividends. Read on to find out why every marketer should prioritize a clean, tidy, and up-to-date marketing database—and why doing so can maximize company revenue. Like meat on supermarket shelves, milk in the fridge, or prescription medicine sitting in your cabinet at home, all customer contacts and data have a use-by date. While each contact is obviously different, experts estimate that up to 25% of your data expires annually. This figure may seem stunning at first glance, but it makes plenty of sense. In today’s fast-paced economy, the average job is held for about two years (after accounting for turnover, promotions, etc.). Add to that the fact that most lead lists can be up to 15 months old at the time of generation or purchase, and cleaning out data immediately becomes a clear priority. Know your audience, and you will succeed. This is as true for comedians and actors as it is for businesspeople and marketers. With clean data, market reporting and analysis is easy to conduct and execute. Most importantly, you’ll notice that clean data generates actionable business intelligence, which can be used to further hone your marketing techniques, generate updated and reliable reports for Salesforce, and make your analytics that much more useful and workable. If you don’t know where you’re going, you might not get there. How can you know where you’re going without a proper map to begin with? Clean data will drive any large-scale sales strategy because it allows you to plan and execute new marketing campaigns with a reasonable degree of accuracy and efficiency. Without clean data, there is simply no way you can have dynamic, engaging, and (most importantly) personalized marketing. By its very nature, personalizing marketing and outreach demands that you have the most current info on your customers. This includes logging their recent purchases, website activity, and (if possible) life developments like getting married and new additions to the family. “To be able to correlate data quality issues to business impacts, we must be able to classify our data quality expectations as well as our business impact criteria,” said David Loshin, President of Knowledge Integrity, Inc.
Is all the information you need available? Are there expectations that data values conform to specified formats? Do distinct data instances conflict with the same data object? Are values consistent across data sets? What data relationships are missing important linkages? These are all questions that must be answered. Analysts can better determine the scope of underlying root problems and address data quality issues only by reviewing data completeness, conformity, consistency, accuracy, and integrity. These are all factors that contribute to the loss of leads and revenue. Instead of having to constantly sift through every contact line, hoping to correct poor leads and bad data passed over from legacy systems, clean data can help save time and money by avoiding poorly organized, mass uploads. Problem: Campaigns don’t turn out the way you’d like, and opt-outs always seem to be on the rise. If this sound like you, chances are you’re suffering from implementing a “one-size-fits-all” approach to marketing. Solution: Relevance drives conversion. Or, relevance = conversion = revenue. It’s a simple equation. You need to target prospects based on who they are as well as what they do. Clean data is the first step to segmentation. The right solution allows you to match, cleanse, de-duplicate, and standardize all your data. Any time a new contact enters your database, they’re automatically categorized into discrete segments. For example, depending on how you input your data, the simple title “Chief Financial Officer” could exist in 20 different permutations. Marketing automation solves the problem by filtering and mapping many different permutations to a single segment. Imagine emailing someone twice, with the same message, in the span of five minutes. The loss in trust caused by that redundant email is hard to overstate. It can turn off a potential client, cause them to unsubscribe from your list, and lose you potential revenue and goodwill. This happens with expiring data, but it’s an absolutely avoidable mistake. These duplicate emails happen because there are duplicate leads—quality leads that were classified wrong or entered twice. Another problem is when leads don’t end up receive any follow-up messages, which is equally damaging to your bottom line. Thankfully, there are apps and third-party programs to help you get around the issue of duplicate leads, which makes the cleaning data process that much easier. If you’re having problems with dirty data, the simplest solution could be to use the advanced data cleansing solutions in your current marketing automation system. Reducing the contacts in your marketing automation database can help you save money. Deleting contact data that is hard-bounced, unsubscribed, and invalid will help you save money. When looking at data hygiene as a whole, clean data will boost your revenue and increase earnings. But it’s not just a matter of money—with increased revenue comes efficiency, a newfound sense of confidence, and a new, improved outlook. Cleaning data can lead to improved morale for sales teams, too. According to VentureBeat, over one fifth of all companies that adopt marketing automation boost their revenue by a staggering 75% or more. One fourth of all companies boost revenue by 30 to 50%, and over one third of all companies boost their revenue by at least 5 to 10%. Having expired data and poor leads as an enterprise organization is a little like serving McDonald’s at a black tie party. Despite having every resource at their disposal, some enterprise organizations do just that. They fail to accurately identify their lead and customer needs, and end up trying to close or upsell with irrelevant offers and promotions, which just leads to more wasted resources. 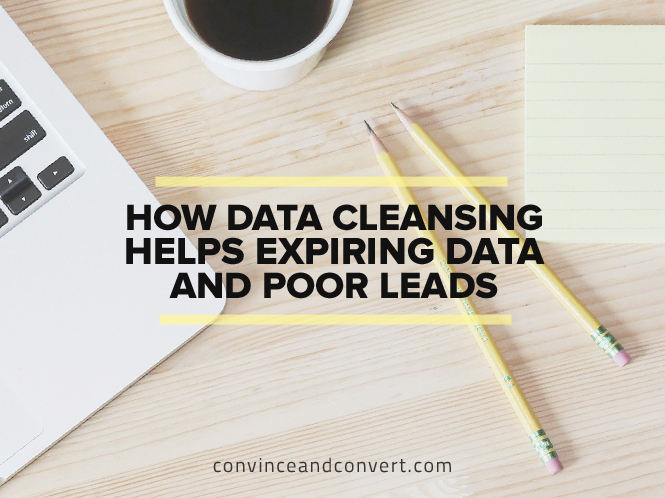 Data cleansing is a simple fix that could save millions in unoptimized marketing campaigns, poor alignment between marketing and sales, and a tarnished brand image. Of course, before you can clean up your data, you need to admit that it’s dirty! Alp Mimaroglu specializes in marketing automation, demand generation, analytics, and marketing technology. Alp has extensive experience with both business and consumer marketing. He’s passionate about how technology is rapidly becoming the key to success in both the corporate sales and marketing landscapes. Follow Alp on LinkedIn.